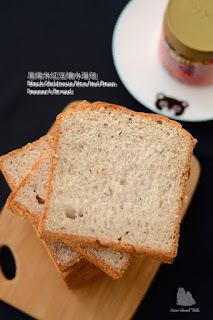 This bread is made with the leftover glutinous rice red beans dessert pulp while hoping to catch a taste of this wonderful sweet dessert from the bread. 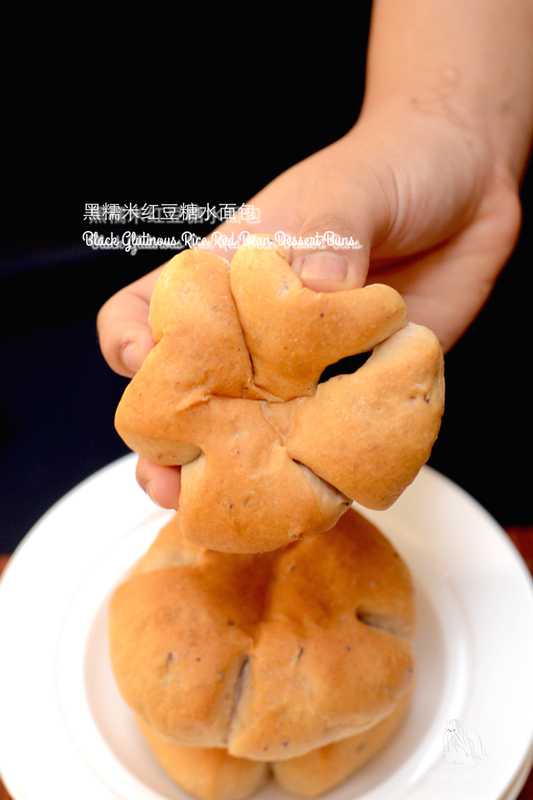 Although it is devoid of milk and eggs, the bread still comes out soft and chewy. Combine (A) together into a bowl of a stand mixer with hook attachment. Knead at medium speed approx. 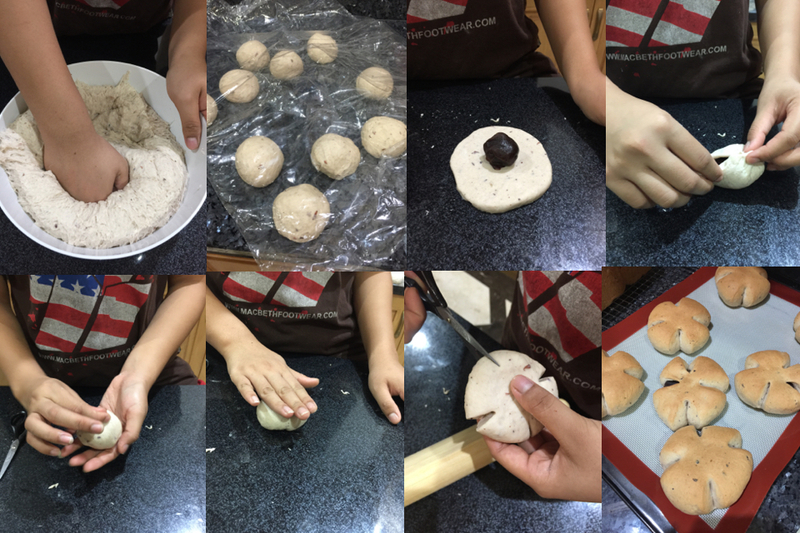 20-25 mins, until the dough becomes smooth and pliable. The same applies when you are completely kneading by hand. Punch down the dough. Divide the dough into 20 equal portions and mould it round. Let it rest for another 15 mins. Sprinkle the worktop with bread flour, flatten each dough into a disc and wrap in the red bean fillings (B) and seal the edges and mould round. 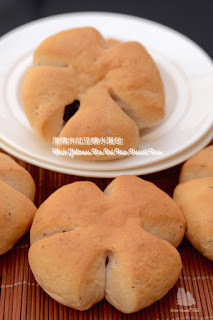 Flatten the dough slightly and use a sharp knife or scissors to make 4 cuts (as shown in pictorial) on the edge of the dough. 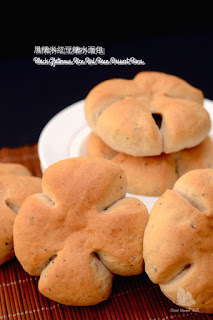 Arrange the dough on a baking tray line with greased parchment paper. Space the doughs 4 inches apart to make room for the doughs to expand. Repeat the process for the balance 19 ps of dough. 8-10 Mins prior to baking time, remove baking pan from oven and turn on the oven heat to 180C degrees. Bake in a preheated oven at 180C degrees for 15-16 mins or until golden brown. Remove bread from oven and allow to cool on cooling rack. If you deemed the buns too much for your consumption, you may divide the dough into two equal portions after the 1st proofing. 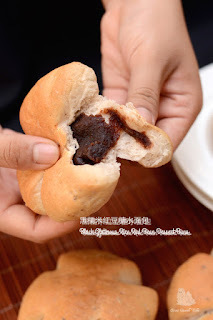 Half of it you may still proceed as per the above stated method to make buns with store bought red bean fillings. 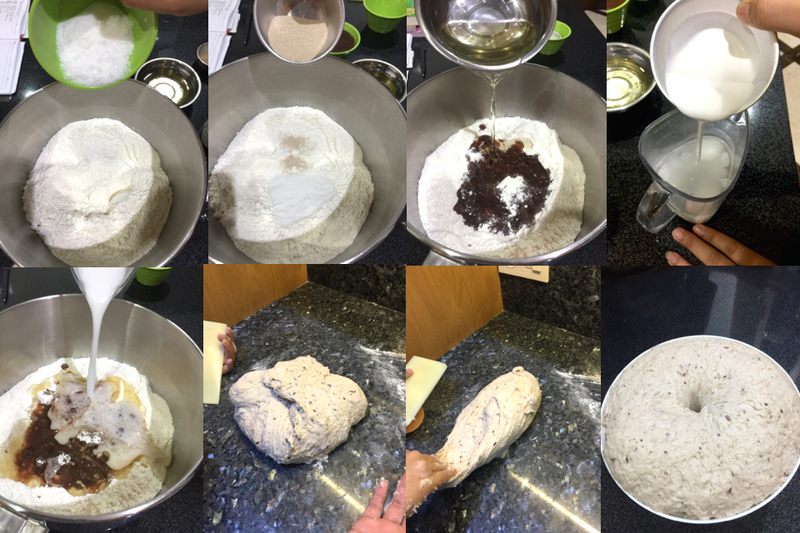 The balance half of the dough you may turn it into a loaf. 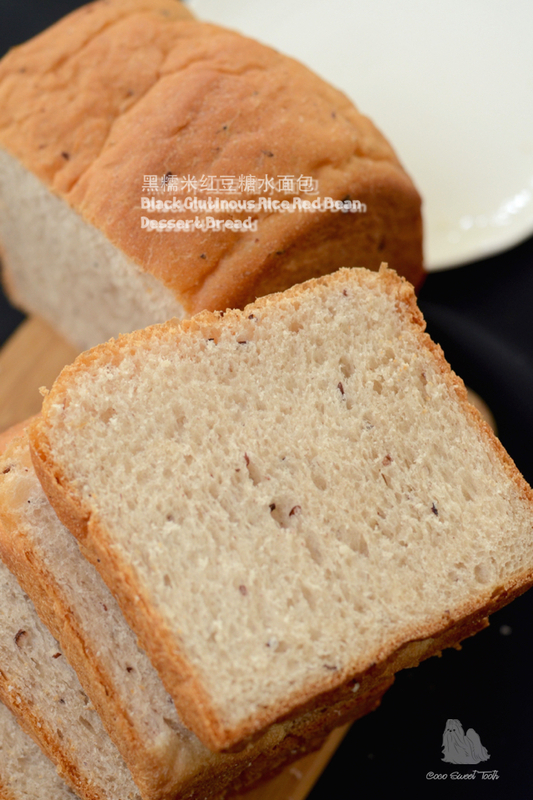 For standard open lid bread loaf, bake it in a preheated oven at 170C degrees for 35-38 mins. 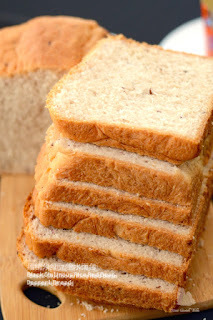 For close lidded loaf, bake it at 210C degrees for 35-38 mins.